Fractions! Some children just get them, and others struggle to make sense of these types of numbers. As teachers, whether as a classroom teacher, homeschool mom, or as a parent, our job is to present them in ways that help our kiddos make connections. 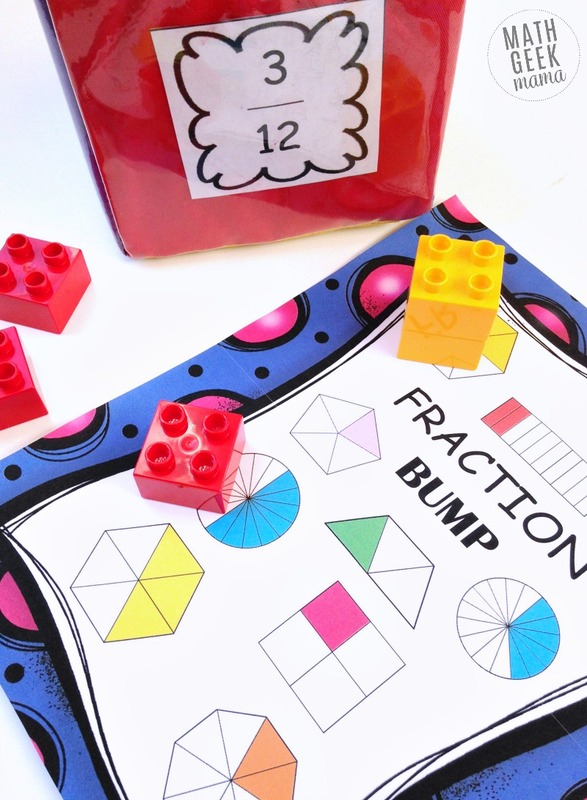 This easy to play equivalent fractions game will give your kids a chance to familiarize themselves with fractions in a fun way! 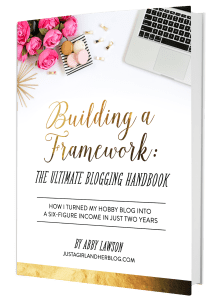 This is a post from Rachel at You’ve Got This! 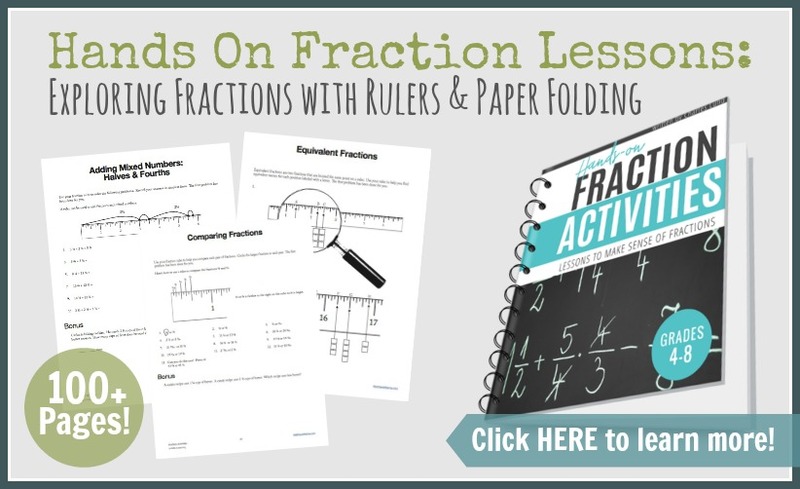 There are so many incredible ways to teach fractions and a quick search on Pinterest will present you with numerous ideas. I strongly believe that using interactive notebooks is a highly effective way to directly teach any new skills. This allows students to actively take notes in a controlled setting, and then have a “cheat sheet” to look back on if they get stuck on a problem. Of course, getting manipulatives out and letting children explore equivalent fractions with manipulatives such as pattern blocks is a great way to build connections. 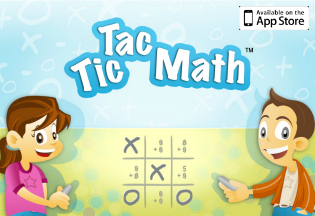 Once children have been directly taught, it is time to pull out games that give children repeated exposure and practice with equivalent fractions. 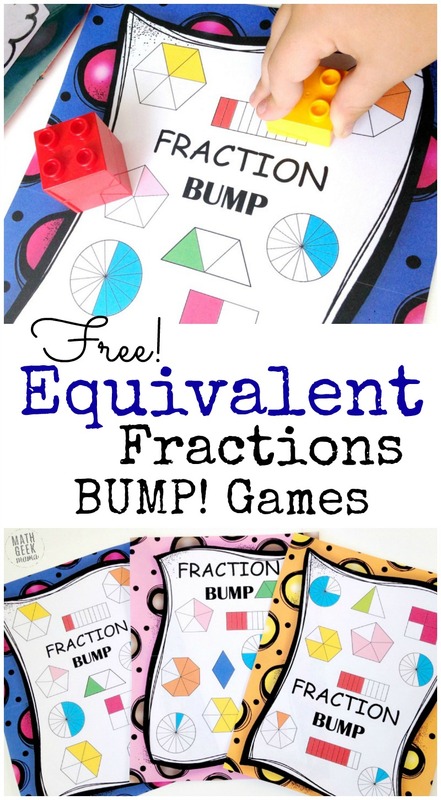 Equivalent Fraction BUMP is one game that gives children a chance to practice making equivalent fractions while having fun. 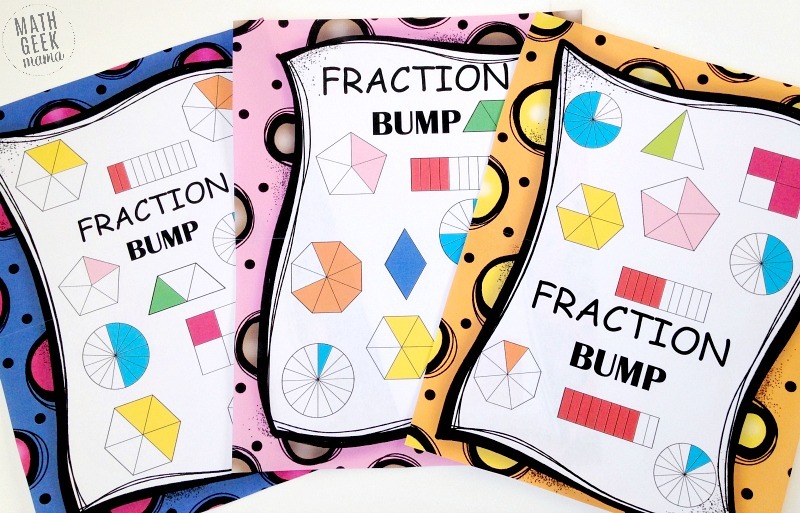 This free download includes a set of 3 equivalent fractions games. 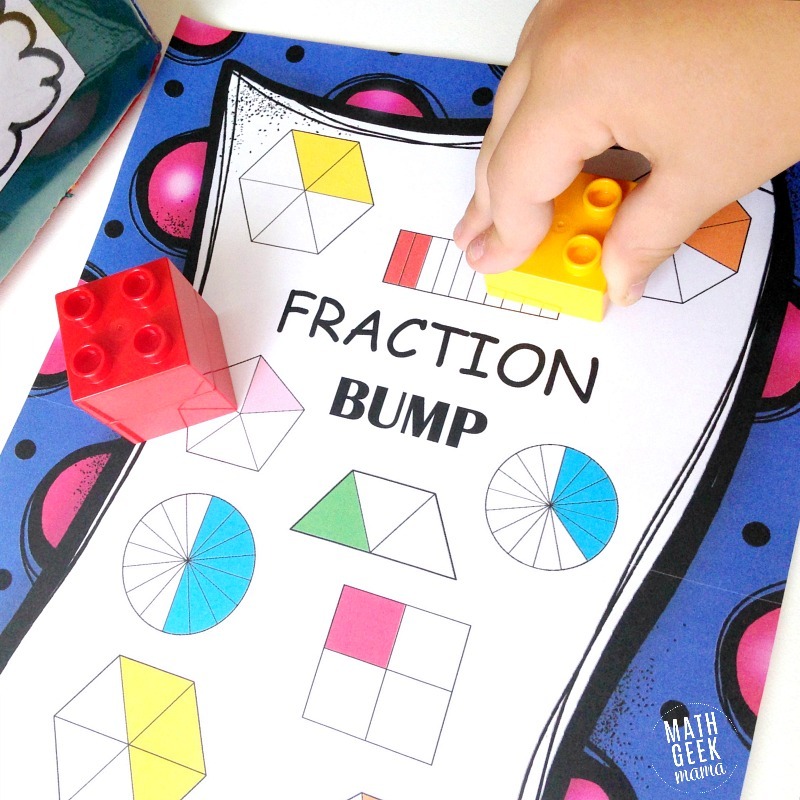 Each game includes a game board and printable fraction cards, allowing you to work on a variety of equivalent fractions. Cut out the game cards that have fractions on them. Preferably place the fraction cards in learning cubes. If you don’t have a learning cube you can tape the fraction cards together to make your own die. Grab game markers. You will need two sets of game markers that are two different colors. Use unifix cubes, counter chips, coins, beads, blocks, etc. 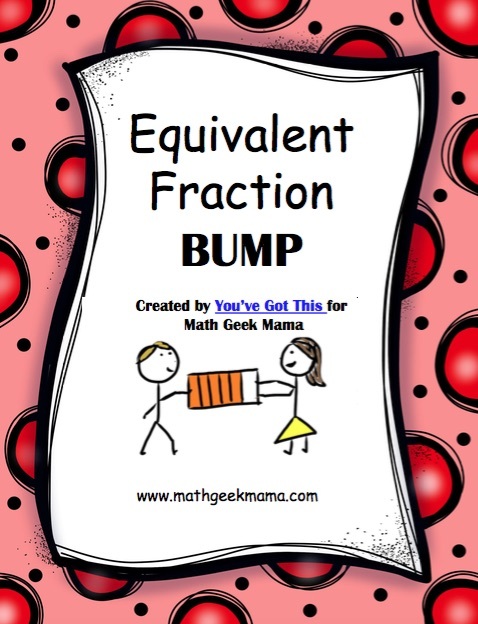 Sit down with a fourth – sixth grader and get ready for some equivalent fraction practice! Each player takes turns rolling the die. The player then must find the model that is equivalent to the fraction they rolled. When they find one, they cover up the model with one of their game markers. The game ends when all pictures are secured (i.e. two markers on each picture). Then, the player with the most secured pictures wins. A child rolls the fraction 3/15. She can easily see that 3/15 ÷ 3/3 = 1/5. When she looks at the board, 1/5 has two blocks on it. It has been secured. She knows that there is not a model that has 30 parts, so she may be tempted to say she doesn’t have a place to play. If she were to look a little closer, she would notice a model that represents 2/10. Well if you take 1/5 and multiply it by 2/2, you will get 2/10. So 1/5, 2/10 and 3/15 are equivalent fractions. Equivalent fractions are challenging for many children, but with hands-on learning, and repeated exposure they can be successful. You’ve Got This! Oh No, Fraction Man – This game is similar to Old Maid but children match fractions, fraction models, and number lines that are equivalent. Fraction Puzzles – Another introductory activity that helps students visualize fractions. Thanks, Rachel and Bethany! 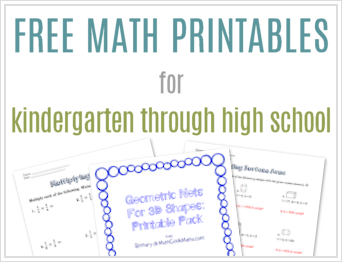 Gearing up for Fractions with my kiddos, so these will come in very handy!! Oh so glad to hear it! Enjoy! !